Mary leads the team responsible for Microsoft’s philanthropic efforts, which brings to life the company’s mission to empower every person and every organization on the planet to achieve more. The team seeks to invest the company’s strongest assets – technology, money, employee talent, and the company’s voice – to partner with nonprofits and communities to create lasting positive impact. In the most recent fiscal year, Microsoft’s total annual giving surpassed $1 billion, with cash donations of nearly $120 million and in kind donations worth nearly $950 million. Mary is an active board leader and community volunteer for nonprofit organizations in Seattle and around the country. 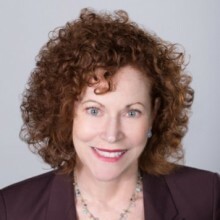 She currently serves on the board of directors for KCTS 9 Public Television, the YWCA of Seattle, King, and Snohomish County, and is a board member and recent past chair of ArtsFund. She also serves her alma mater, University of Michigan, on the President’s Advisory Group. Mary is a 27-year veteran of Microsoft, and joined the company in 1988 as Microsoft’s first female attorney. She is a leader in diversity and inclusion in the legal profession. She has served as the executive sponsor of Microsoft Corporate, External, and Legal Affairs’ (CELA) diversity and inclusion efforts since 2002, overseeing the development of the department’s diversity strategy and execution. She is a frequent speaker on diversity and inclusion is also the former chair of the board of directors of Minority Corporate Counsel Association.